I love books. I love reading from libraries and I love getting them from book shops. As any bookworm will tell you, this is a costly obsession. That's why I want to share some fab offers with you that I found around the internet this week! Don't ever be afraid to go into your local library and borrow books instead of buying them, though! Libraries love people borrowing books and you're still supporting authors. Don't bankrupt yourself! Here are a few of the deals I found this week that I love! Wallets at the ready folks! Click on any of the book covers to learn more. This week preorders of Phillip Pullman's Book of Dust appear to be half price at just £10. Pullman was a firm favourite of mine when I was small so I cannot wait to read this book. It also happens to have a gorgeous cover. In another unexpected twist Caraval by Stephanie Garber is £5! But only if you buy the hardback, which is more than half price! The paperback costs a little more. I just picked up my copy of Caraval and I cannot wait to read it. The hardback feels so gorgeous and it has a foil print on it that is lovely. This week Paper Butterflies by Lisa Heathfield is only £5.99 on amazon too. And Traitor to The Throne by Alwyn Hamilton is just £5.99 through Waterstones this week. Also this month all the Old Kingdom books are on sale, and Waterstones also have a tonne of other books discounted by 25%. The Old Kingdom series is what really got me into Young Adult books when I was transitioning into them, so they hold a super special place in my heart. If you haven't read Pullman yet have no fear! Northern Lights, the first book in His Dark Materials, is also on sale. 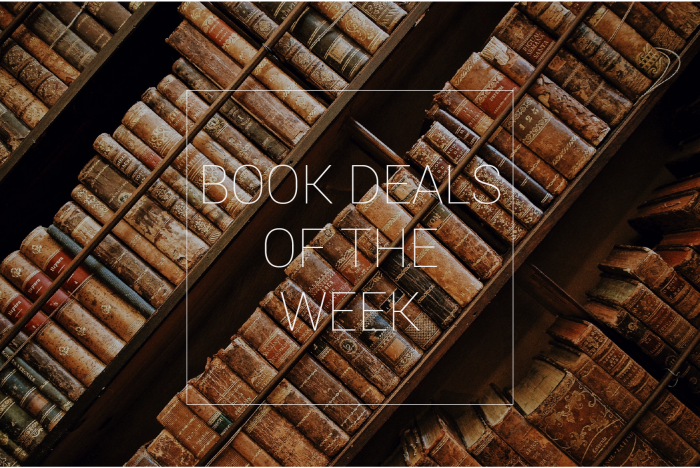 Everything, Everything by Nicola Yoon is a lovely £4 this week too. Here are a few books to look out for on the shelves once they are released! What books are you most excited for?